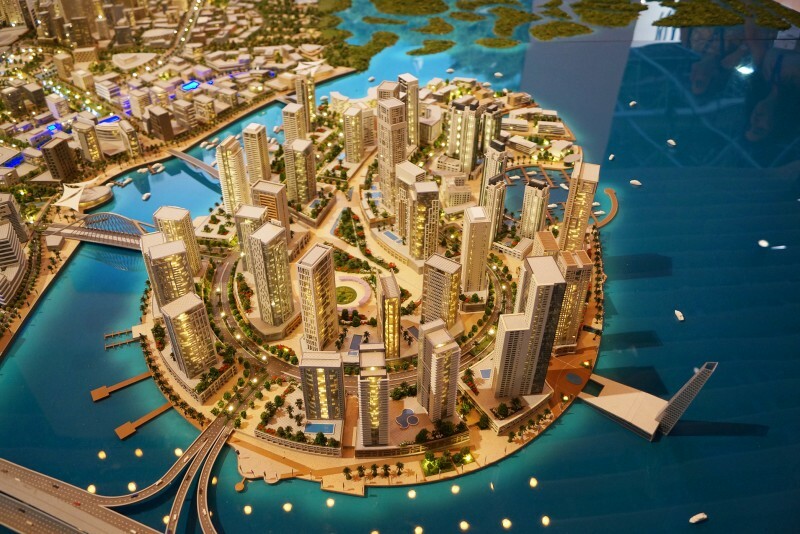 Dubai Creek Harbour at The Lagoons is a new six million square metre mega-city planned for Dubai. 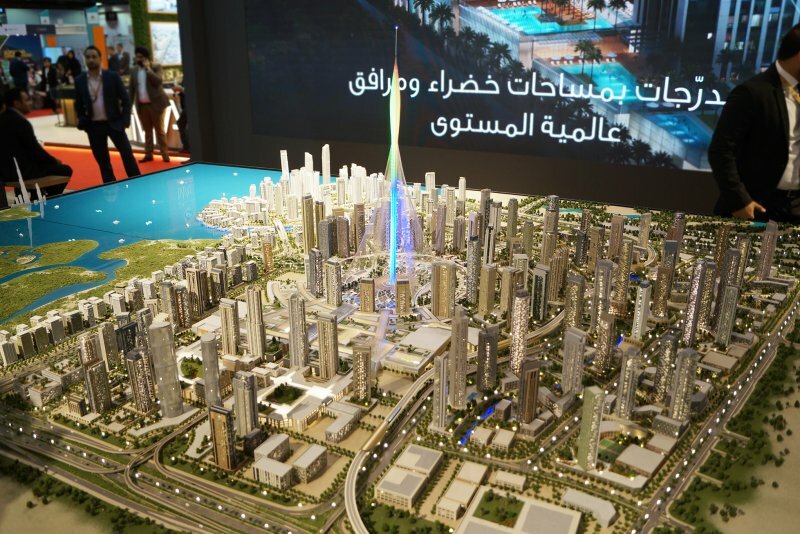 It is a joint venture between Emaar Properties and the government owned real estate developer Dubai Holding. 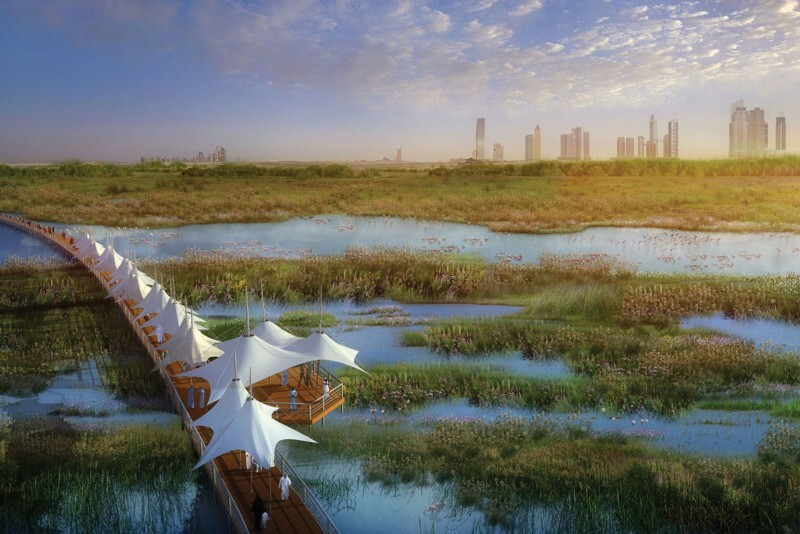 The project runs with the slogan 'discover life at the source’ and is situated next to the Ras Al Khor wildlife sanctuary, famous for its flamingos. 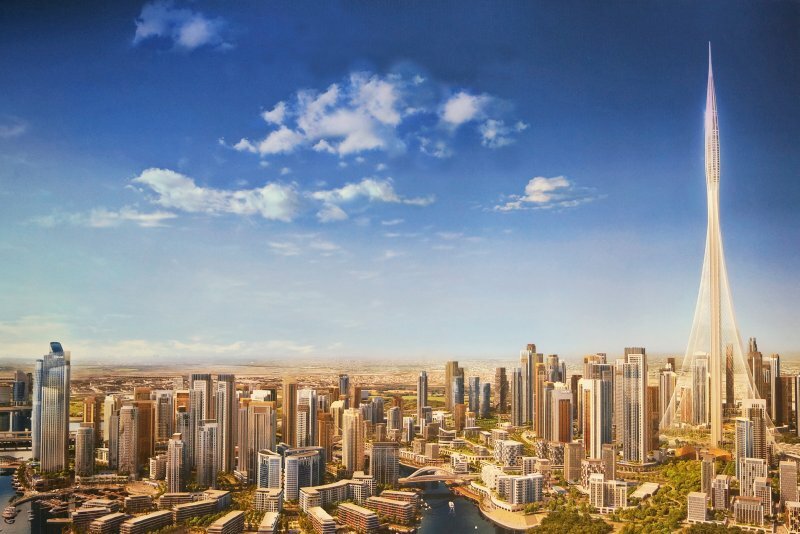 Construction has already begun on the first phase, Dubai Creek Residences, a six tower apartment complex which should offer great views of Dubai Creek and the Dubai skyline. 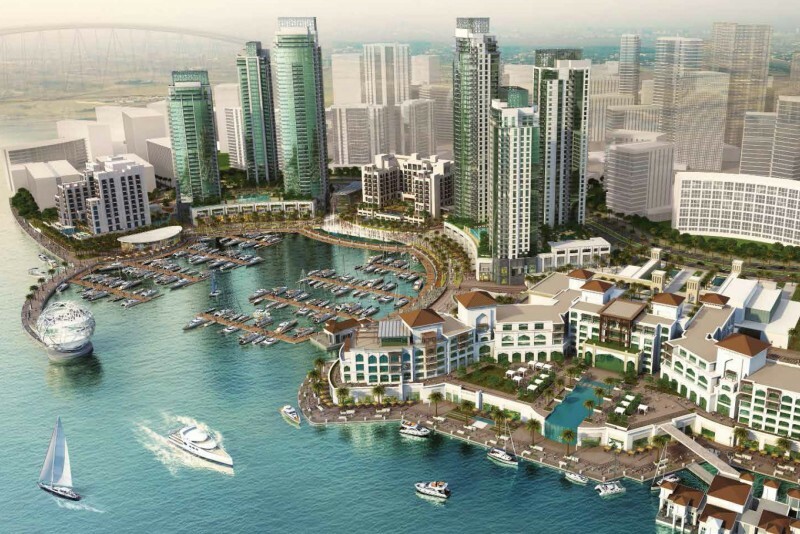 One-click links to properties currently on the market in Dubai Creek Harbour. 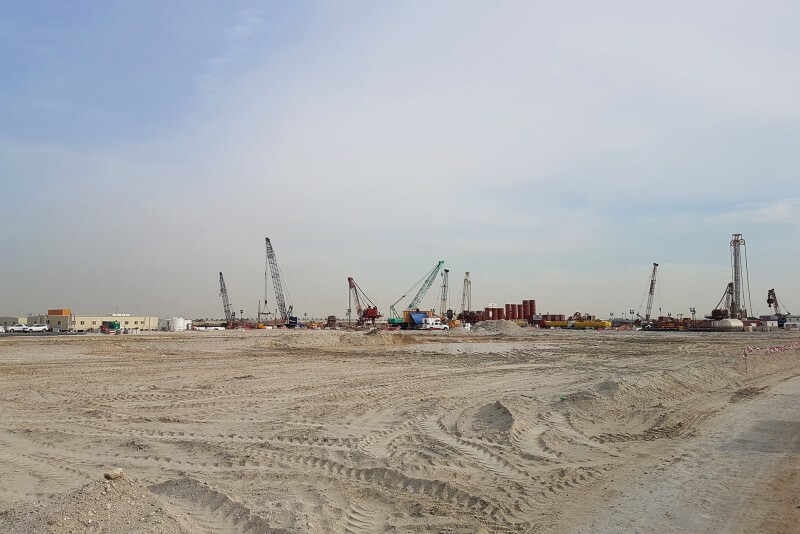 A key feature of the project is the preservation of the wildlife sanctuary in adjacent Ras Al Khor, which has an estimated 450 animal species, most notably flamingos. 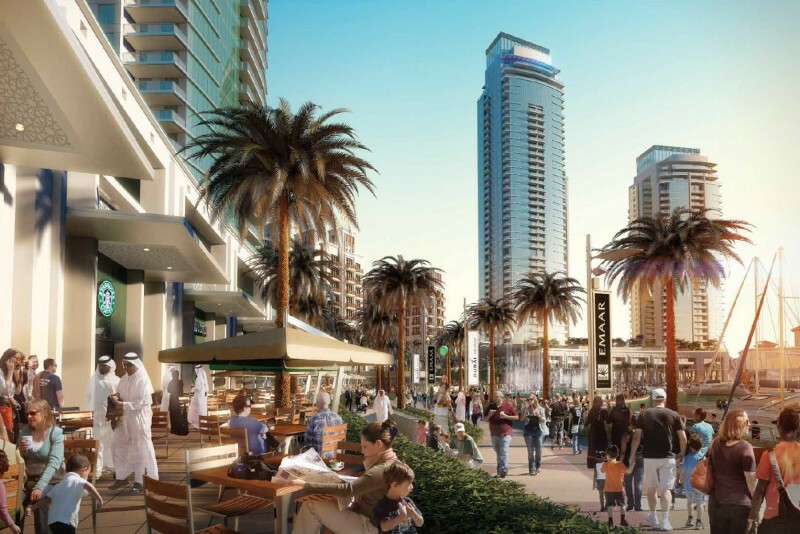 A visitor centre will be built to help promote the message of conservation and sustainability. 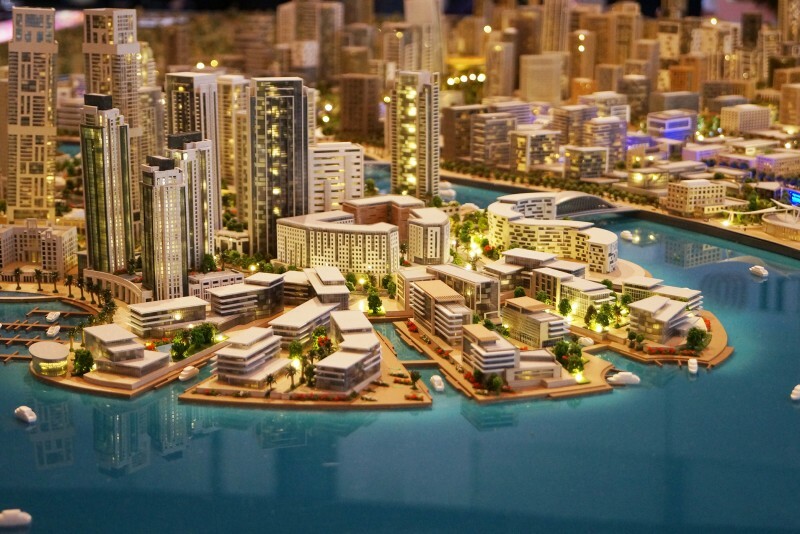 Dubai Creek Harbour is essentially a re-launch of the troubled Lagoons development which was initially proposed in 2006 by fledgling real estate company Sama Developments, but it fell victim to the global financial crisis and was subsequently scrapped. 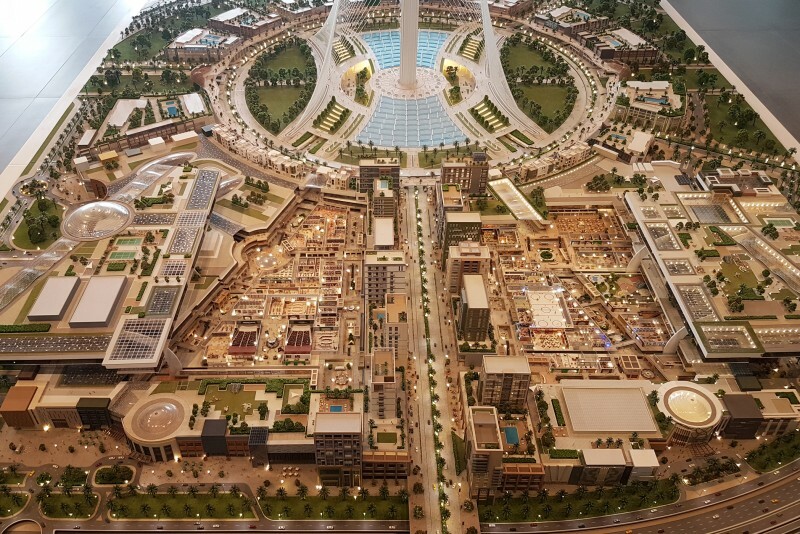 The ambitious project was set to cover an area of 70 million square feet at a cost of US$18 billion. 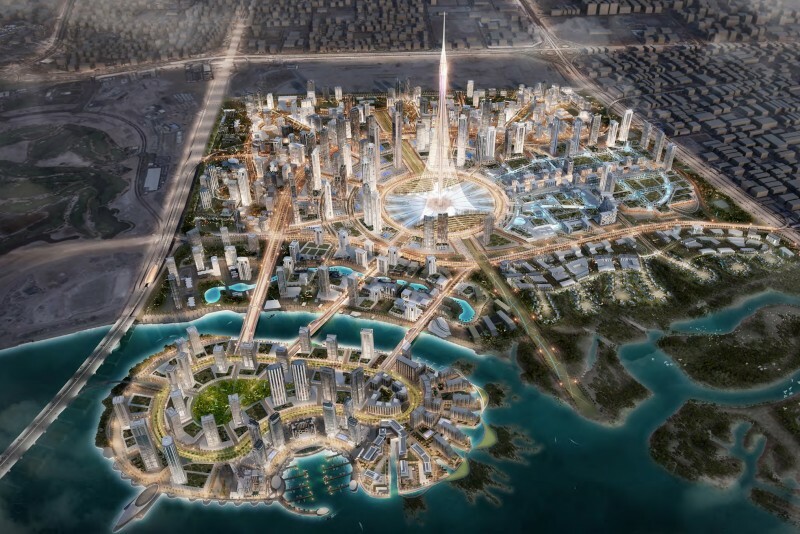 It was to have consisted of seven islands (Al Dana, Al Sedaifa, Al Jiwin, Al Naama, Al Lulu, Al Hassabi and the Opera House island) interlinked with bridges and would have included residential units, shopping centres, office buildings and marinas. 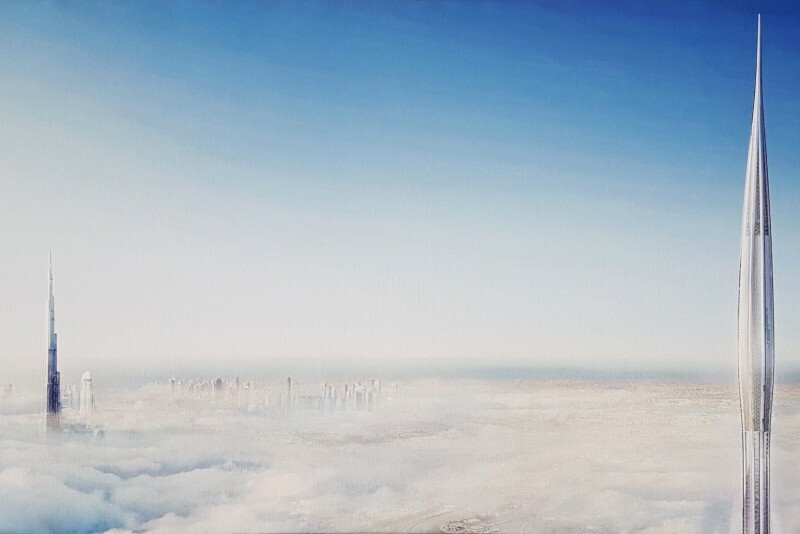 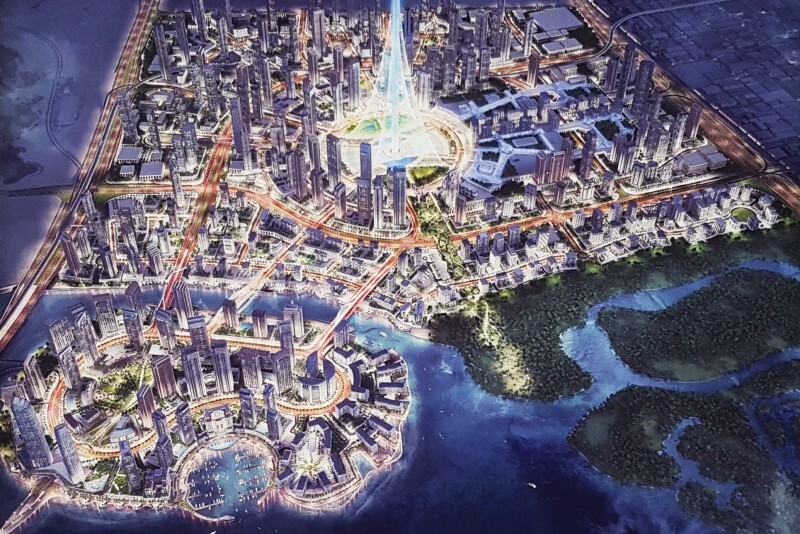 The central island was earmarked for a business district and featured a cluster of four super-tall tentacle-shaped skyscrapers called Dubai Towers. 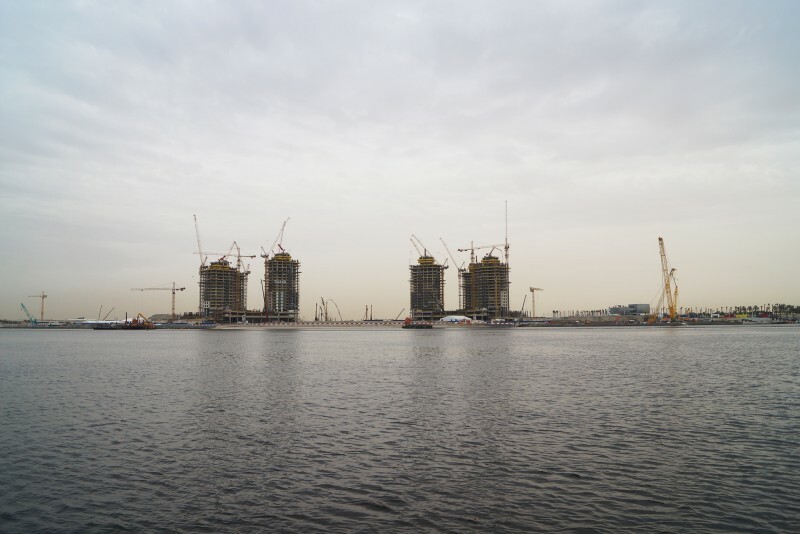 The Dubai Opera House, with an equally crazy design, was designed by internationally renowned architect Zaha Hadid. 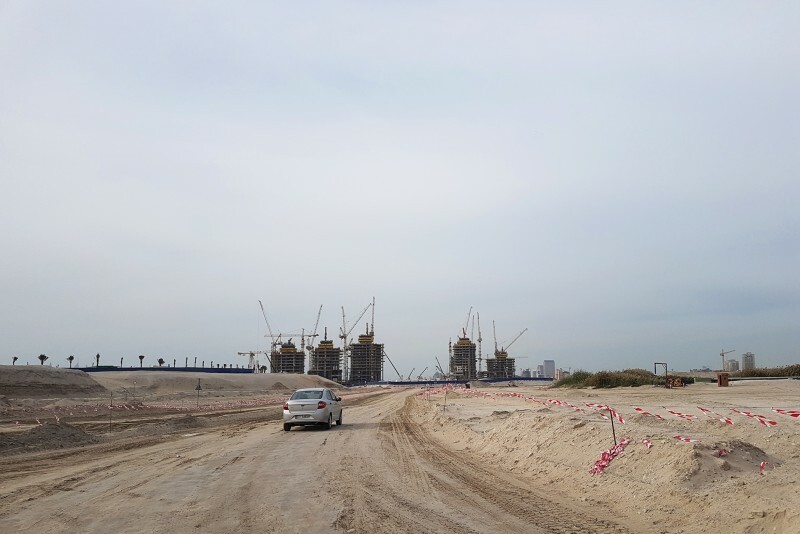 In 2007 excavation began at the Lagoons and some basic infrastructure was built, but in 2008 things started to go south when four members of the developer's management team were arrested on bribery charges and eventually imprisoned. 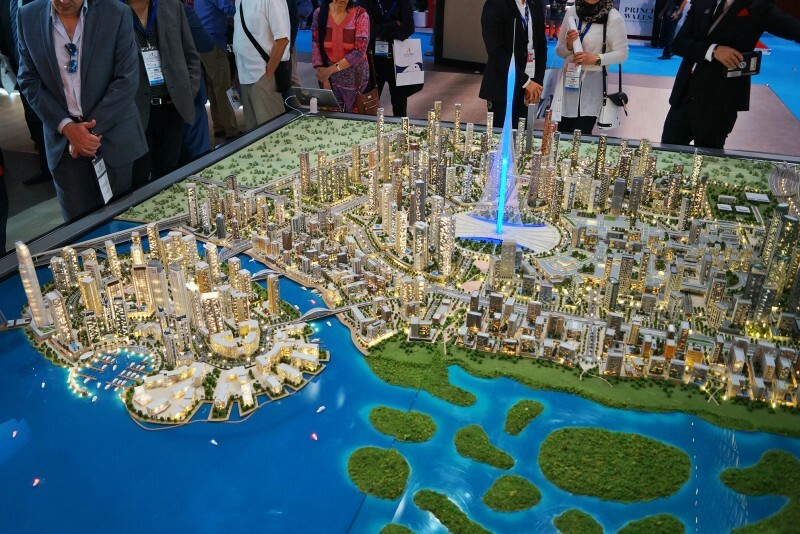 At the same time the global financial crisis hit Dubai and sales began to dwindle. 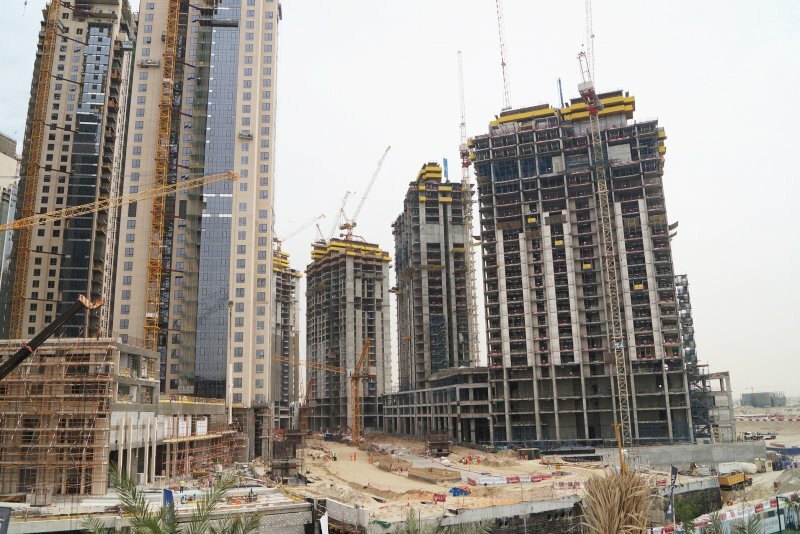 The project was put on hold and in 2009 the government firm Dubai Holding reshuffled its subsidiaries, including the now bankrupt Sama Developments, and laid off many staff. 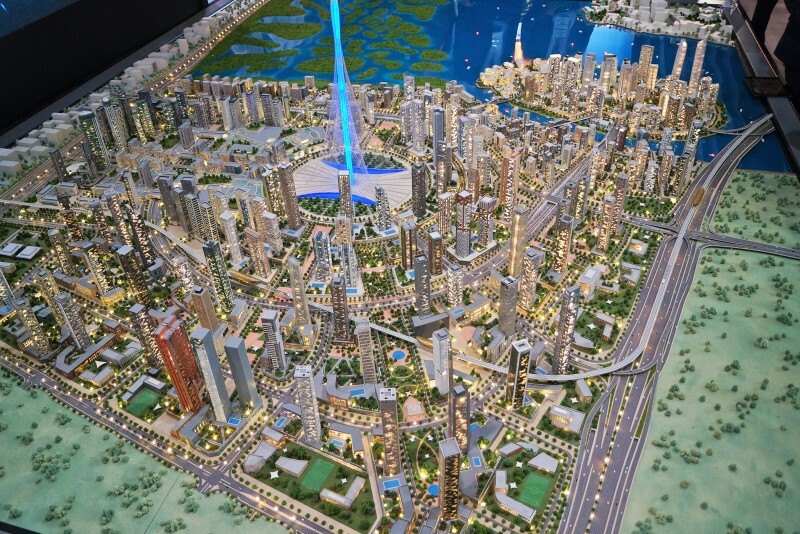 Eventually the Lagoons masterplan was scrapped along with the Dubai Towers, and the Opera House was redesigned and relocated to Downtown Dubai. 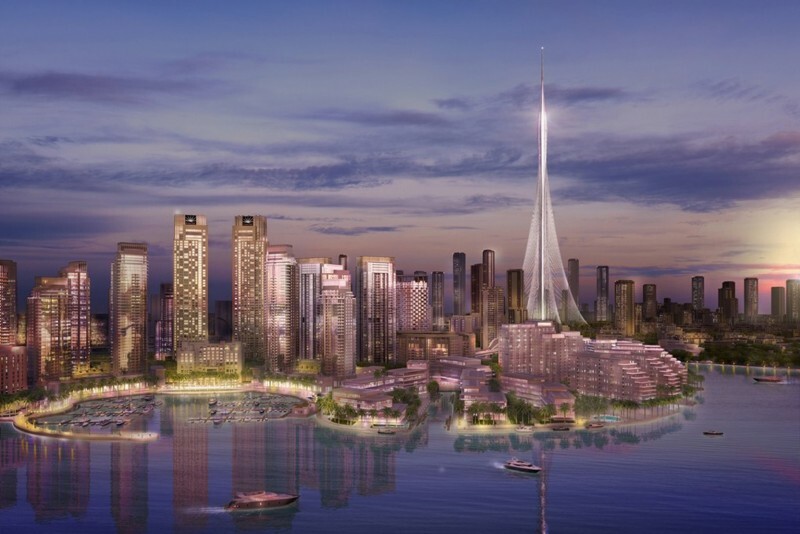 Emaar Properties stepped in to take up the reins and in 2013 presented a completely revised masterplan centred on two super-tall skyscrapers, Dubai Twin Towers, and a six tower residential complex called Dubai Creek Residences, in much the same way as they launched their other flagship projects, Dubai Marina and Downtown Dubai - even the architecture is almost the same. 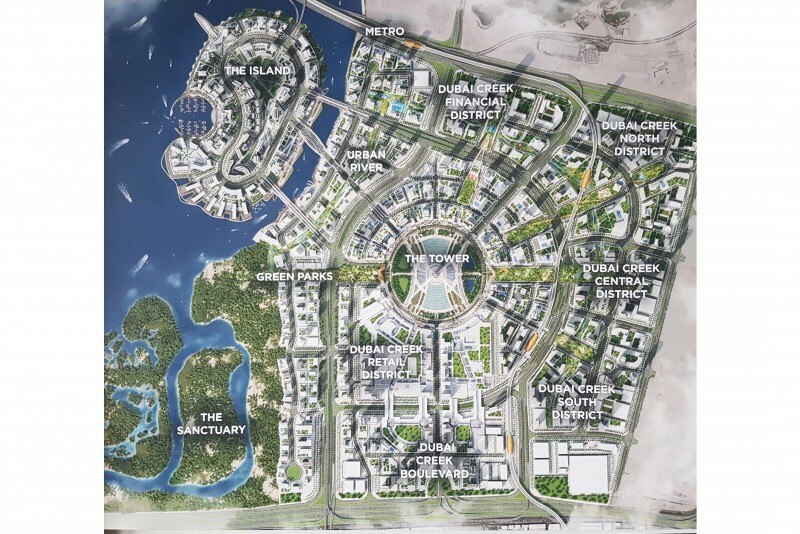 The developer hasn't said whether any of the already excavated lagoons will be retained but the images recently published suggest they will be replaced with buildings. 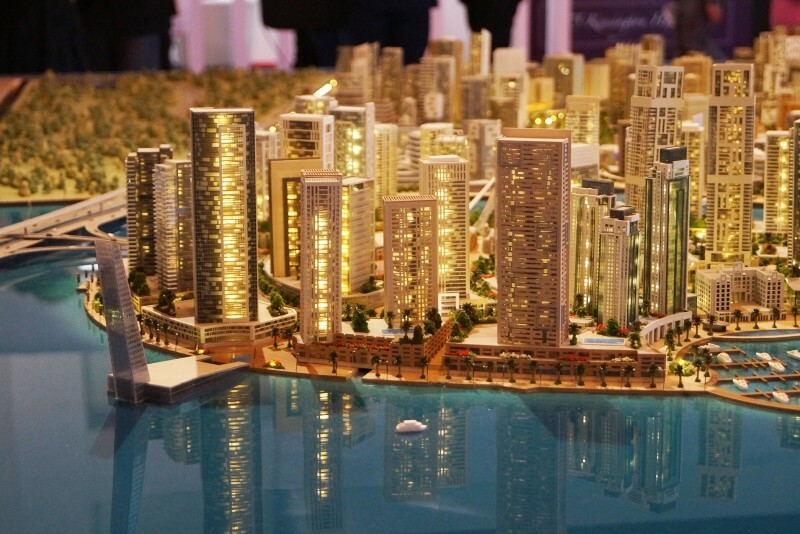 In February 2016 Emaar showed off the competition entries for a single tower to replace the original plan for two skyscrapers at the centre of the Dubai Creek Harbour development. 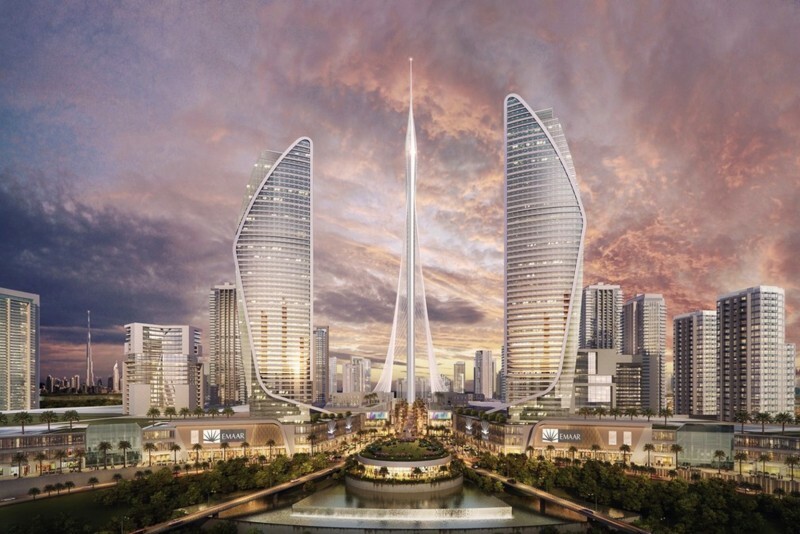 In April 2017 Spanish architect Santiago Calatrava won the competition with a design for a ‘spire’ that would be taller than Burj Khalifa. 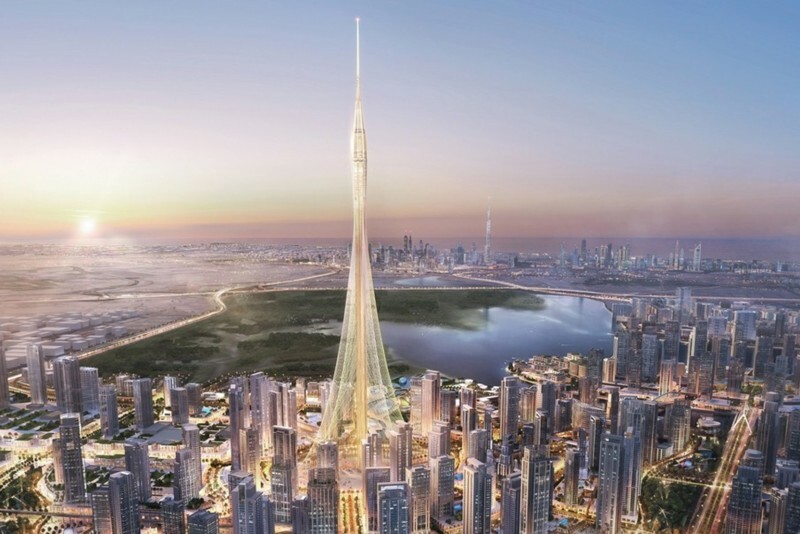 It was to be known as ‘The Tower’, but its height has been kept secret, fuelling speculation that it would be taller than the Kingdom Tower in Jedda (Saudi Arabia). 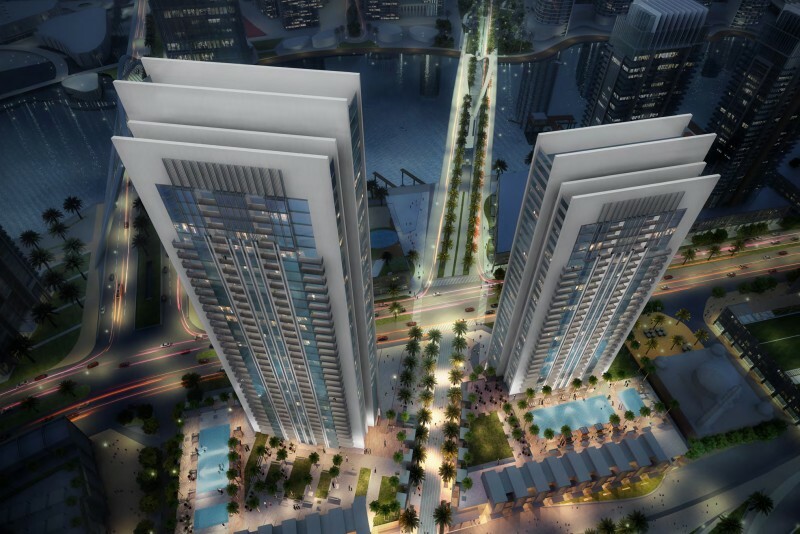 For more information click on this link: Dubai Creek Tower. 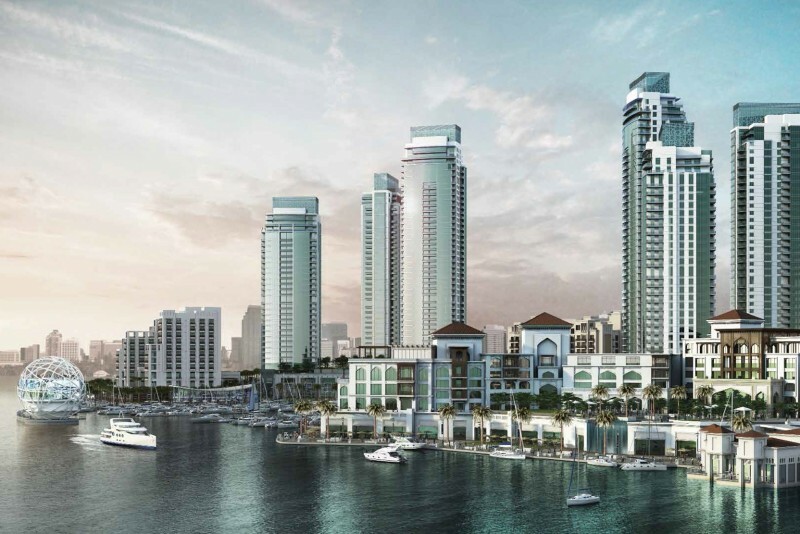 In August 2017 Emaar launched 17 Icon Bay a 43-storey residential tower located in Dubai Creek Harbour’s Island District. 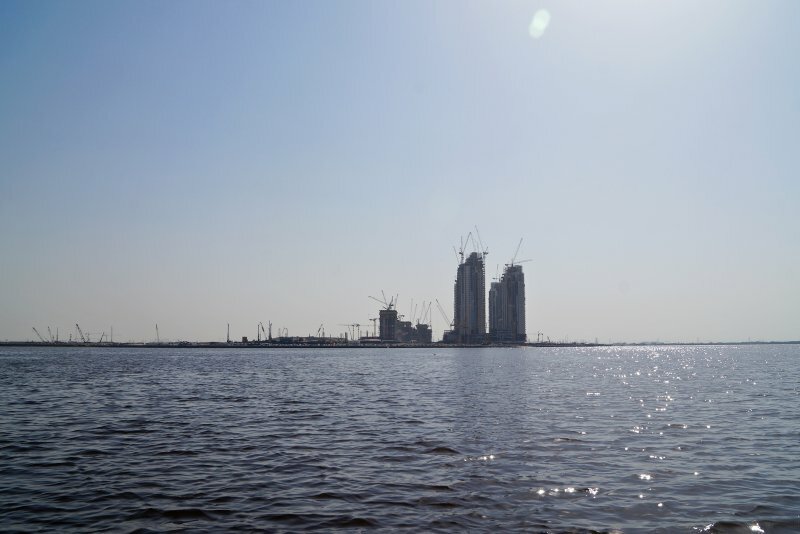 In March 2018 the developer unveiled The Grand at Dubai Creek Harbour, a 63-storey residential tower containing more than 500 premium apartments, penthouses and podium townhouses. 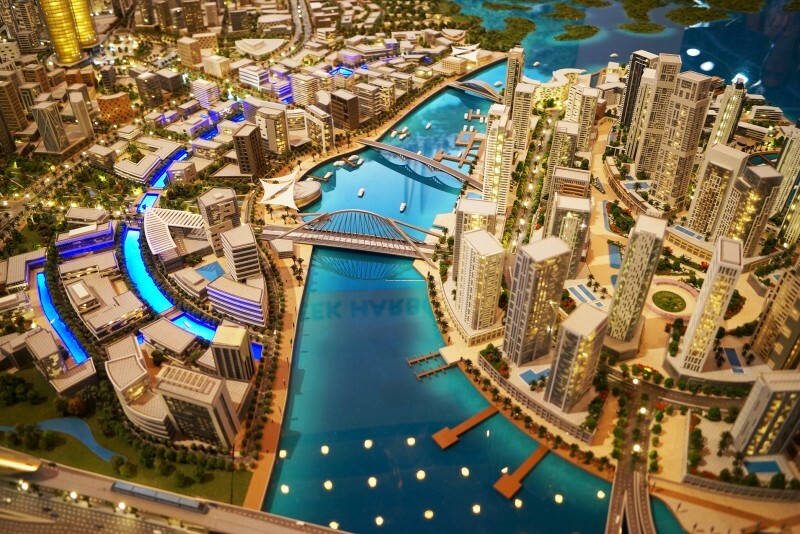 Dubai Creek Harbour has been designed as a place where people can work, live and play in harmony with nature. 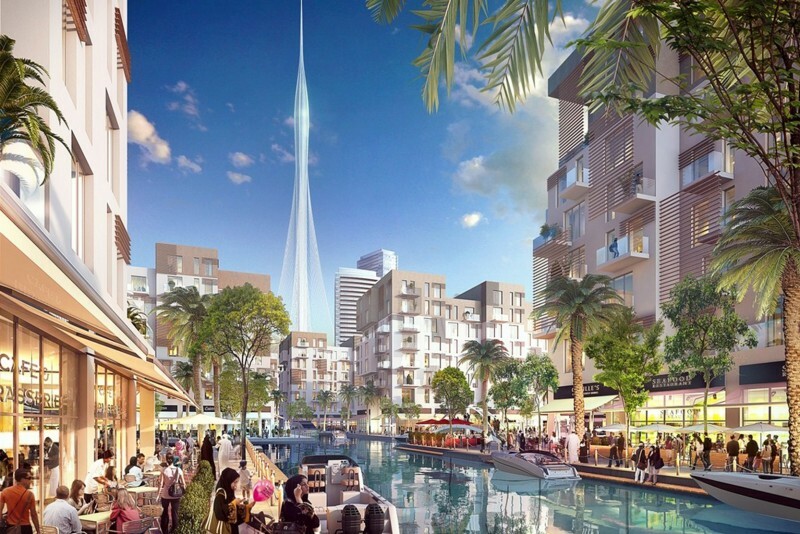 CallisonRTKL’s masterplan is for a ‘walkable, accessible and sustainable city of the future’ with over 7.3 million square metres of residential space and 3.2 million square metres of retail, hotel, office, cultural and community space. 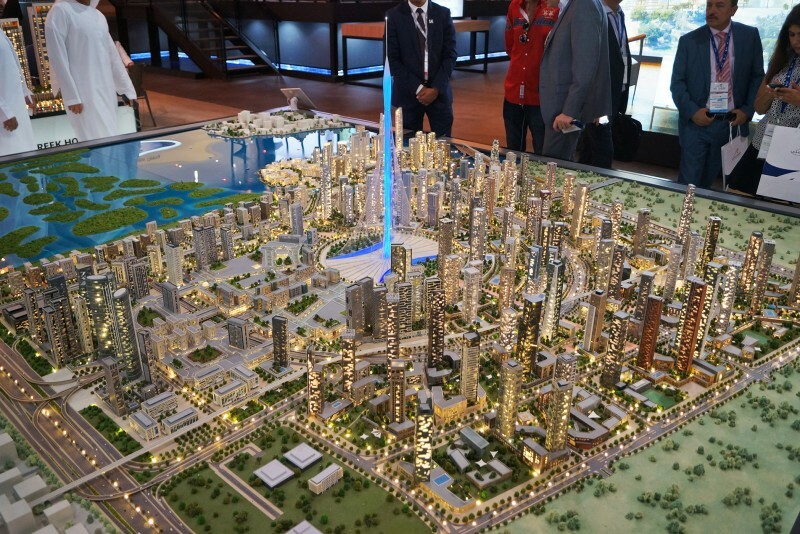 This high density urban district will be capable of accommodating over 200,000 residents, and a 450,000 living and working population. 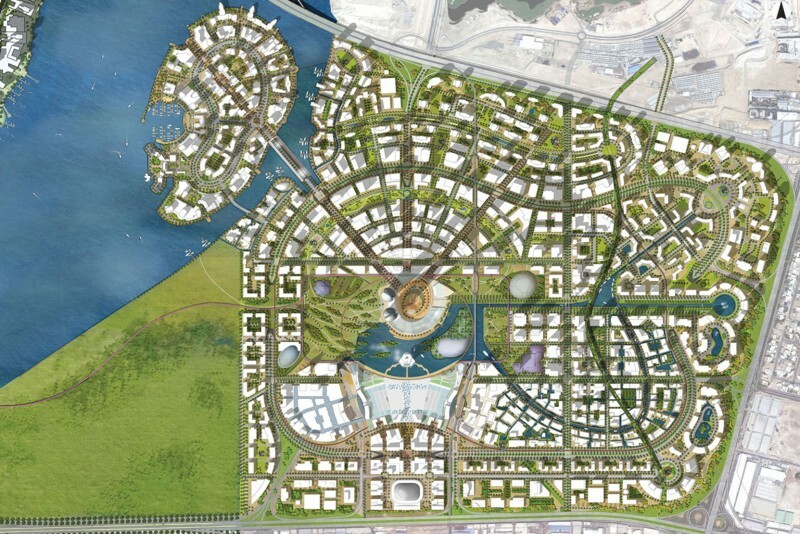 The master plan incorporates a permeable accessibility network composed of streets, squares, parks and plazas, allowing people a range of choices in moving from place to place within the community. 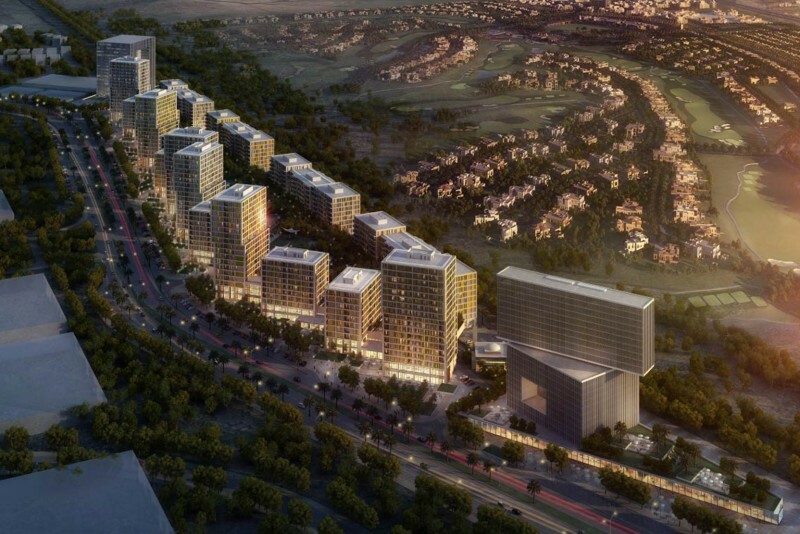 Aware that the construction of such a huge district will necessarily be done in phases, the master planners have designed a series of distinct, self-contained but still connected neighbourhoods each of which can be built as a single phase of the development. 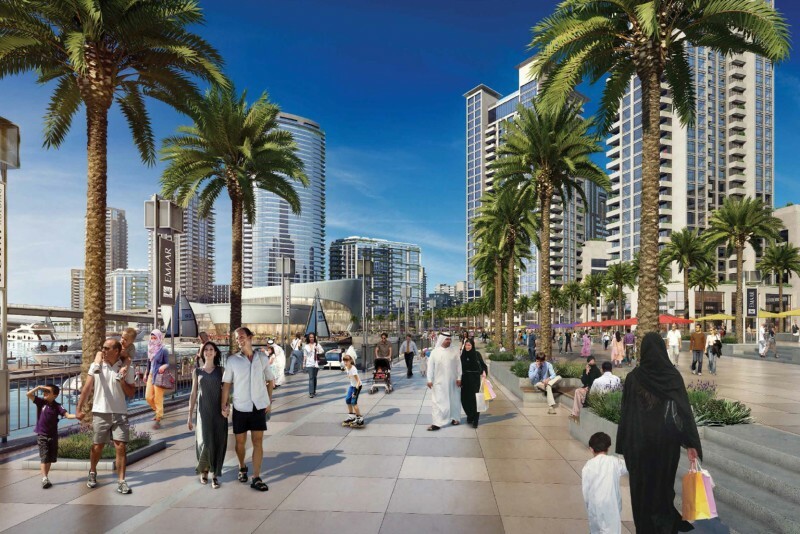 When it is completed Dubai Creek Harbour will be one of the largest developments in Dubai as well as the largest ‘walkable’ community. 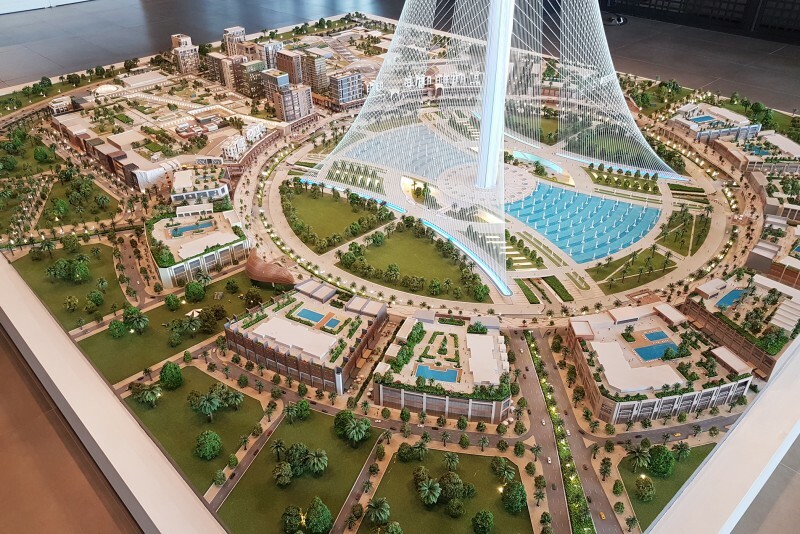 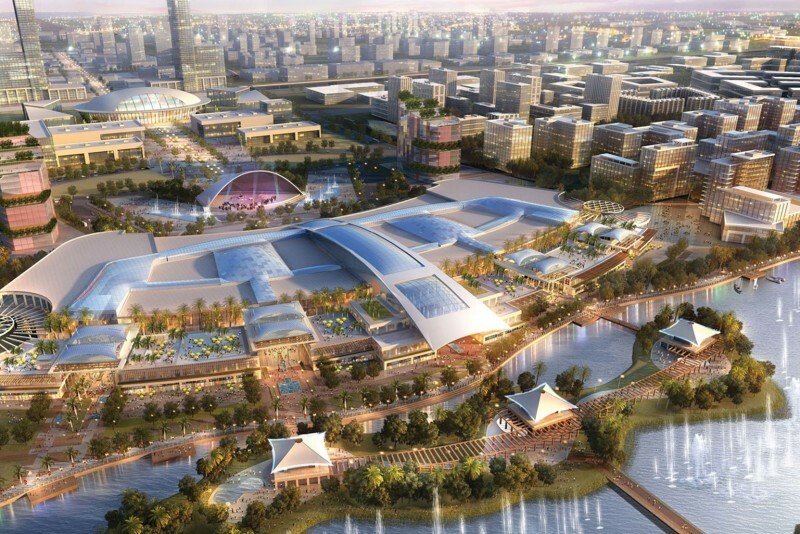 There will be a number of civic and cultural attractions, including a 30-hectare central park and a new waterfront development on Dubai Creek. 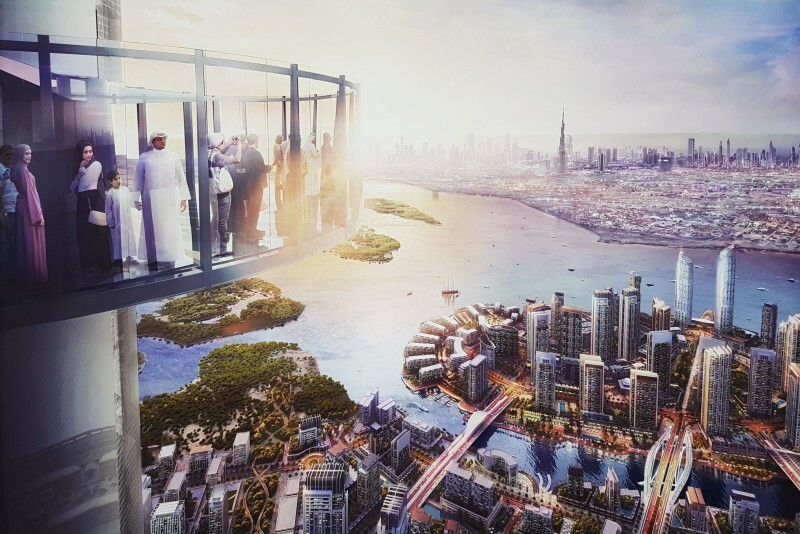 Sustainable drainage, green roofs and multimodal transport, including rental bicycles and an on-site bus and tram network, will help ensure the environmental sustainability of the project, its responsiveness to Dubai’s culture and climate and its adaptability for decades to come. 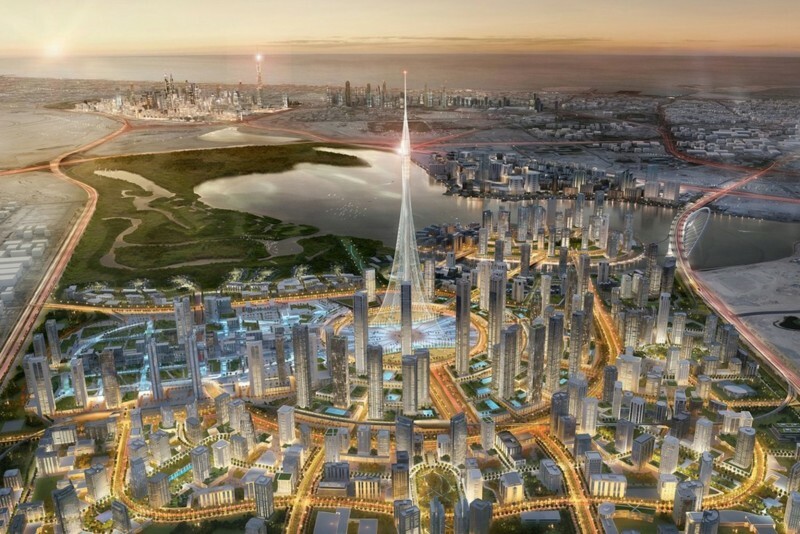 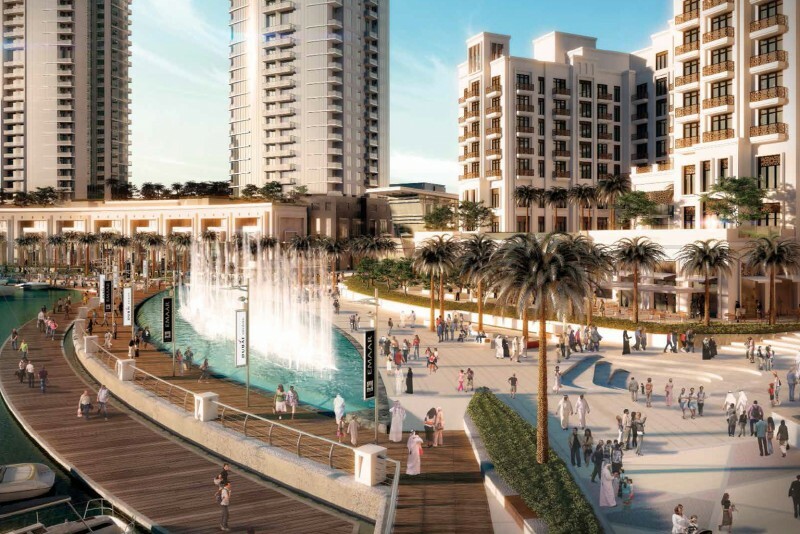 In January 2016 Emaar Properties awarded the construction contract for the Dubai Creek Residences project to Al Basti & Muktha LLC (ABM), the Dubai based construction that built the Old Town District in Downtown Dubai. 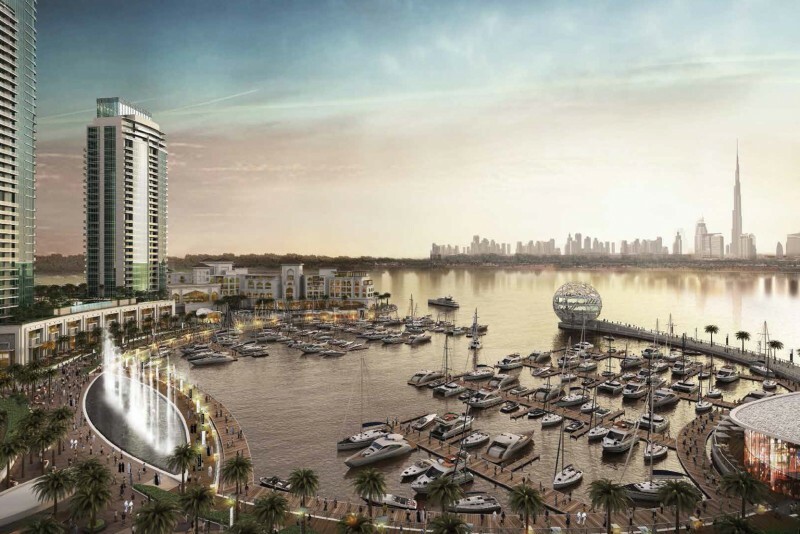 Dubai Creek Residences is a complex of six residential towers that form part of The Island District, a six square kilometre modern development in Dubai Creek Harbour. 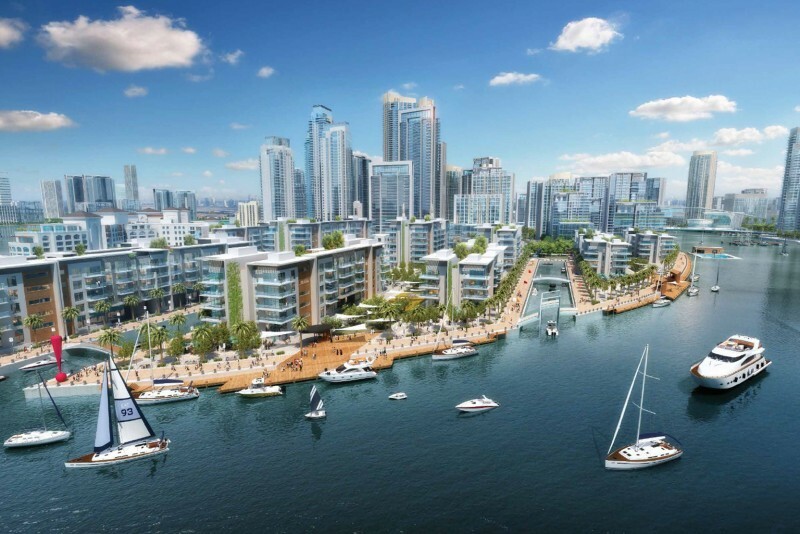 The Island District will allegedly have over 1,000 world-class hotel rooms and over 600 luxury retail shops and cultural amenities, while the six 30- to 40-storey residential towers will contain one-, two- and three-bedroom apartments. 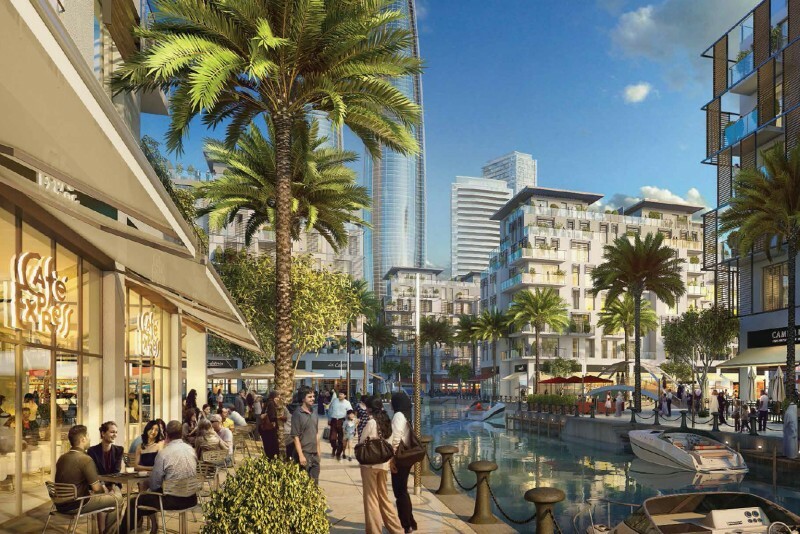 No exact time frame has been published for the whole project, but considering the district is four times the size of Downtown Dubai construction is expected to be phased over the next 20 years. 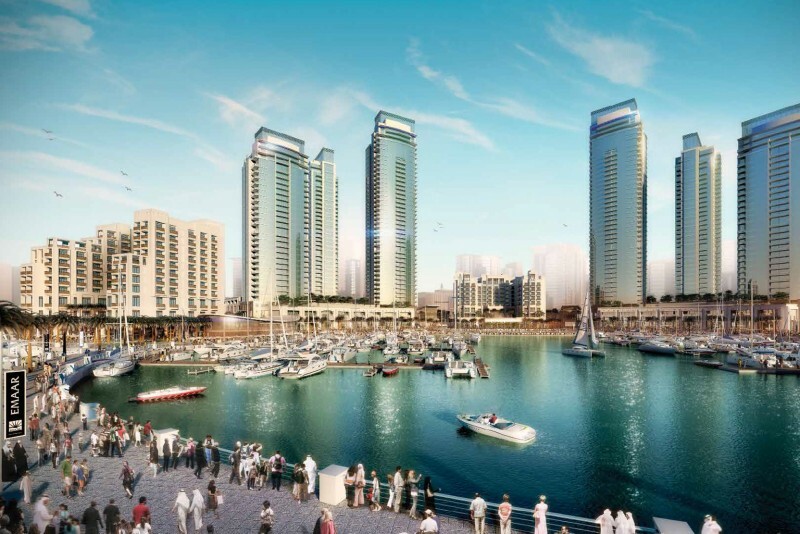 We currently maintain records for 5 sub-communities in Dubai Creek Harbour. 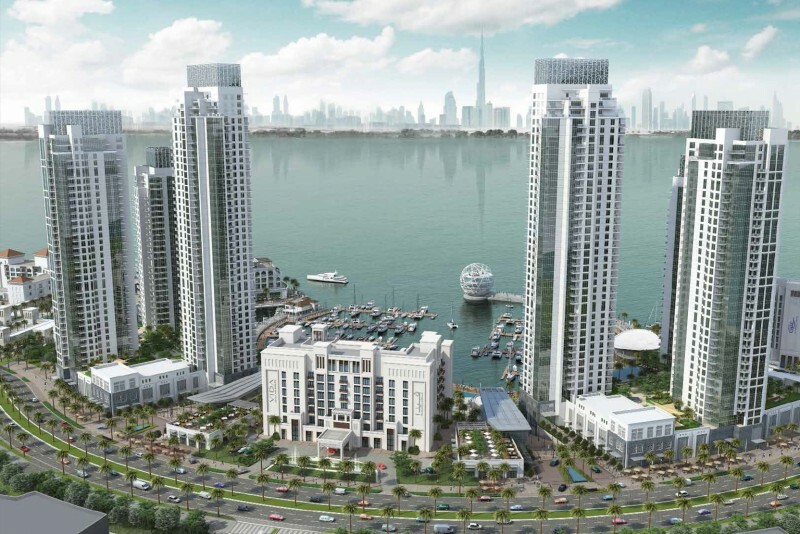 We currently maintain records for 21 building developments in Dubai Creek Harbour. 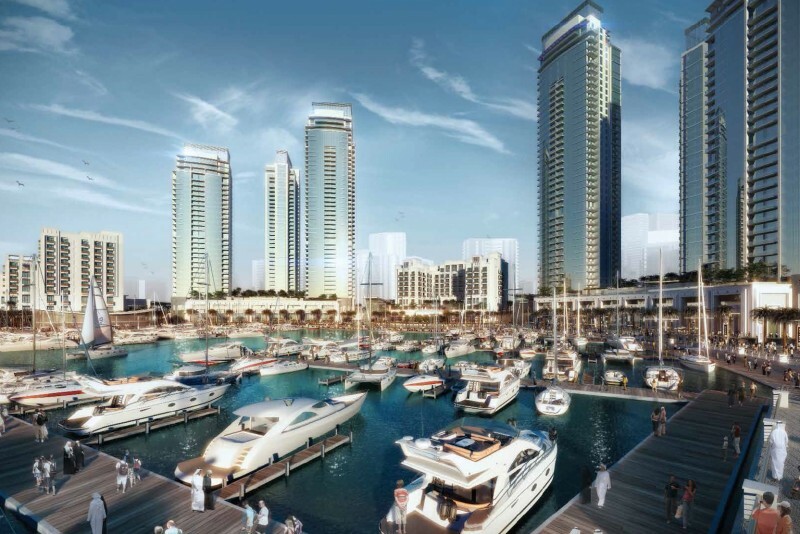 View all Dubai Creek Harbour building developments.